Protocols.io provides an interactive version of this protocol where you can discover and share optimizations with the research community. A selection of genomic isolation kits are offered that purify high quality genomic DNA from a wide variety of sources and for a wide array of applications. Our OmniPrep™ genomic DNA kits are for ultra pure genomic DNA that is suitable for all downstream applications. These kits are fully scalable for large genomic DNA isolations. The procedure is slightly more involved to ensure ultra pure DNA. OmniPrep™ for Yeast purifies DNA from 300 milliliters yeast culture. 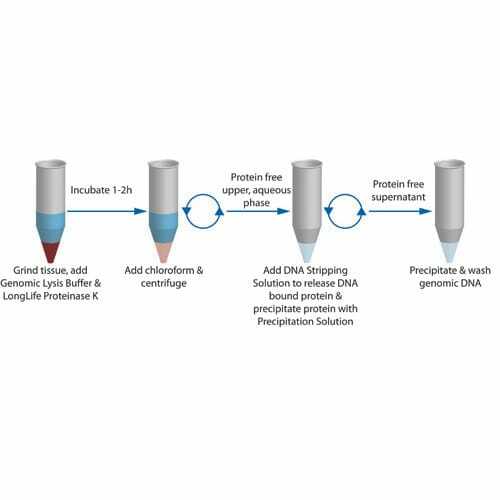 The OmniPrep™ for Yeast kit uses a rapid precipitation technique that uses unique precipitation reagents to isolate genomic DNA free from proteins and RNA. 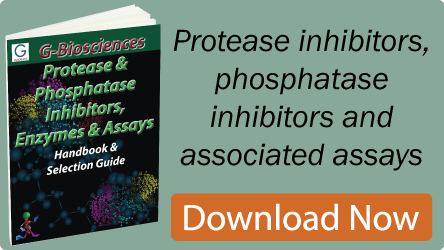 The kit is supplied with a proprietary yeast suspension buffer and our LongLife™ Zymolyase® for the rapid resuspension and digestion of the yeast cell walls for DNA release. Pure genomic DNA is isolated in 20 to 40 minutes, depending on the tissue type used.